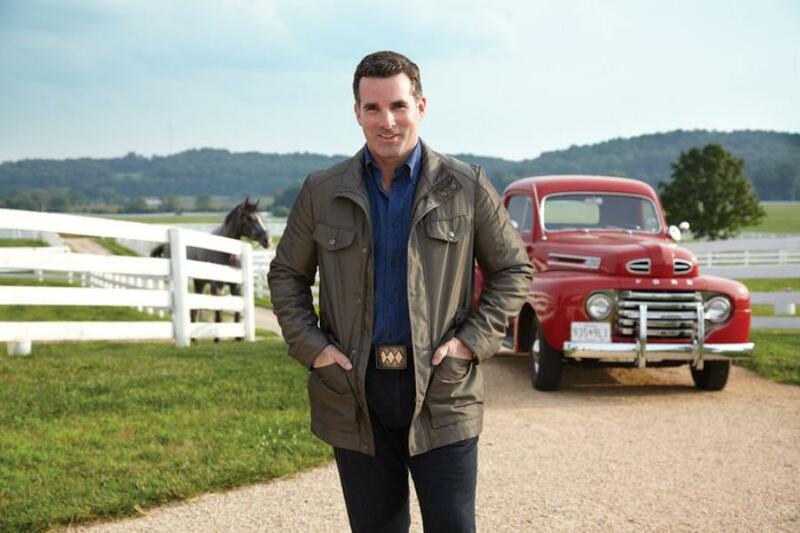 At the headquarters of Under Armour, a collection of harborside buildings in downtown Baltimore, Kevin Plank hobbles his way to a product-review meeting. The founder and chief executive of the sports-apparel giant has just had surgery on a hamstring that was violently ripped from the bone during a recent waterskiing jaunt. “I’ve got to make better decisions at my age,” smiles Plank, who is now 40 and is starting to gray slightly at the temples. But even with his limp, Plank always seems to be leaning forward as he moves, like the special-teams football player he once was, looking for a target to hit. He shuffles into a large airy room where a team of designers and marketers await with a new line of action sports apparel. Plank sits down and props his injured leg on a chair. Then he starts strafing his staff with questions. “Position these for me,” he says, motioning to the clothing. “What are the five things that make this an Under Armour product?” While no longer involved in day-to-day design, he remains the keeper of the “guardrails” on every product, operating with an energy that seems hyperbolic. That energy has propelled Under Armour from a T-shirt maker with $17,000 in revenue in 1996 to a multisport-apparel company that will approach the $2 billion mark this year. Right on cue, Henry Stafford, the head of apparel, quips : “I wonder why?” Everyone laughs. Knowingly. Plank points to a clearing in the leafy canopy up ahead, just 17 miles from headquarters. “Here it comes…ready…Boom! ” And suddenly the trees disappear, revealing a wide-open green valley that hurries up a hill to a stately redbrick manor home. The entire scene is framed by miles of neat white picket fence. 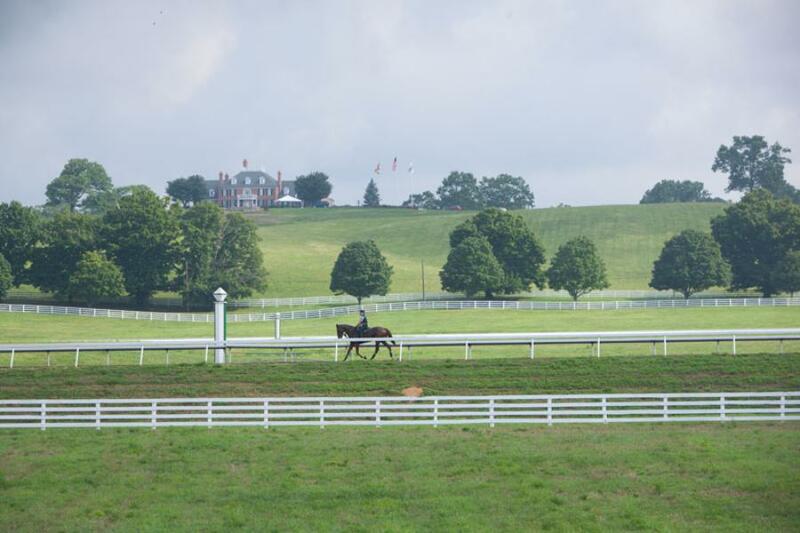 This is Sagamore, the 530-acre Thoroughbred horse-racing farm in Glyndon, Maryland, that Plank bought in 2007. To some, the purchase was a head-scratching gambit: The sport of horse racing is perceived to be dying a slow, inexorable death, an ember of the 20th-century sporting scene, like boxing. And anyway, Kentucky is the well-established king of racehorses. But that’s not how Plank sees it. He views the farm as an extension of his brash company—which he actually started in a basement—one that has made him a billionaire. With Under Armour, he has long had the implicit mission of one day doing the seemingly impossible: slaying the giant of the sports-apparel world, Nike, which has ten times his company’s revenues. Sagamore is simply Under Armour taking on Nike all over again. The explicit mission of the farm, Plank says, is “to one day breed and train a Triple Crown winner”—that is, a horse that wins the Kentucky Derby, the Preakness Stakes, and the Belmont Stakes. Just hearing that stated out loud seems utterly preposterous: No horse has won the Triple Crown since Affirmed back in 1978. 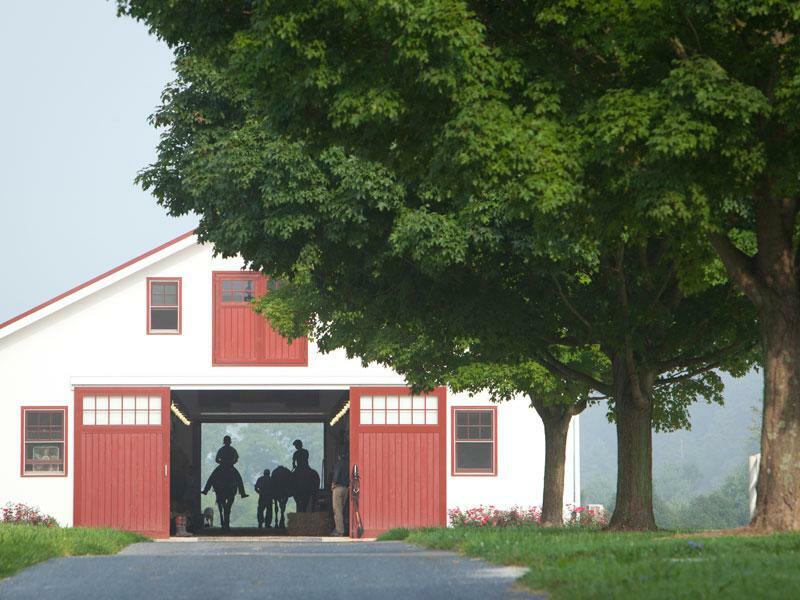 And this guy thinks he and his start-up horse farm in Maryland, of all places—can do it? “He was always a really charismatic kid, always hustling,” says Plank’s brother Scott, the middle child, who now runs business development at Under Armour. That charm didn’t translate to school, at least initially. Like his four brothers before him, Plank enrolled at Georgetown Prep, a private Jesuit school in North Bethesda, Maryland, where he played football. “I was a knucklehead back then,” he says. During his sophomore year, he failed two classes and got into a drunken brawl with some Georgetown University football players. He was kicked out of school but immediately picked up by the football coach at nearby St. John’s College High School. “I called my mom and told her that she was about to save some money on tuition,” he says. Plank did a postgraduate year at Fork Union Military Academy in Virginia to enhance his chances of playing football in college. But when no school offered a scholarship, he enrolled at the University of Maryland as a walk-on. There, he made his hay on special teams as the wedge buster, the player who breaks up the blockers on the opposing team, sacrificing his body and any glory so that others can make a tackle. “He was basically the designated madman, the nut job,” says Tom Mullikin, who played football with Plank at St. John’s and now manages Sagamore. Plank eventually became a team captain at Maryland. But it was on the football field that he came up with his greatest idea. Plank noticed that, after a practice or a game, the cotton T-shirt that he and the other players wore under their pads would be heavy, soaked with sweat. He believed the extra weight hampered performance. He came up with an idea for a lightweight, sweat-wicking synthetic T-shirt, which he originally made from fabric found in women’s undergarments. After graduating, Plank moved into a rent-free town house in Georgetown that was part of his deceased grandmother’s estate. He was joined by a man named Kip Fulks, who had played lacrosse at Maryland. The duo made cold calls all day, spread fabric in the basement, delivered packages to FedEx, then spread more fabric until 2 a.m. Five hours later, they woke up and did it all over again. “We weren’t always doing things the smartest way, but we hustled,” Fulks says. More schools signed on. Retailers picked up the brand. The company moved to Baltimore, a gritty city with a chip on its shoulder that Plank seemed to relate to. They added products, like shoes and a women’s line. Without Nike’s budget, they were forced to be selective with endorsers, signing athletes like Baltimore native Michael Phelps, skier Lindsey Vonn and quarterback Tom Brady, who got an undisclosed piece of the company. “I like being around people who have his drive and enthusiasm,” Brady says of Plank. Since the beginning, Plank says, the goal for Under Armour has been to “compete with the best,” which is, of course, Nike. Early on, Plank used to send a Christmas card every year to Nike founder Phil Knight that read: “You will hear about us one day.” Nike, at least publicly, seemed to pay little attention to the upstart company. Over time, that’s changed. Plank and Knight had a memorable exchange in 2009, at a football game between the University of Utah (an Under Armour school) and the University of Oregon (a Nike school and Knight’s alma mater) in Eugene, Oregon, Nike’s backyard. Plank spotted Knight on the rainy field before the game and said hello. “Sorry about the weather,” Knight said. “We’ll be ready because we’re Under Armour,” Plank replied. Plank swears that he and his executive team no longer mention Nike by name. But Nike still serves its purpose. “Kevin likes having a chip on his shoulder,” Mullikin says. “It drives him.” After all, Plank could quit it all now. He has wealth. He has Sagamore. 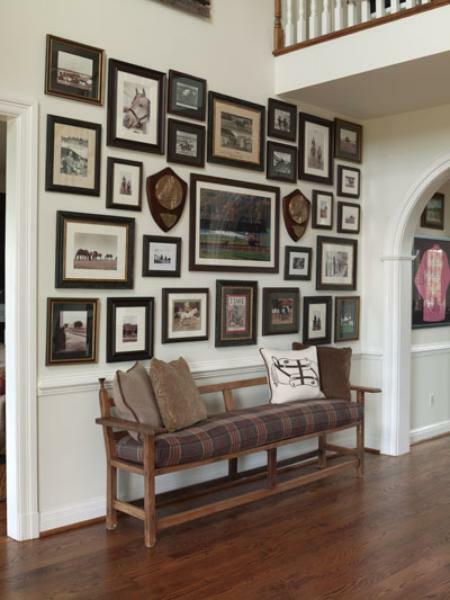 He lives in a beautiful home—two old conjoined horse barns on 85 acres—in Lutherville, Maryland. He has D.J. and his two kids, James, 9, and Katherine, 5. He has a Ferrari. Yet he still pushes. “We’re not much different than we were back at the beginning,” Fulks says. “We wear people out here.” Plank sleeps on average four hours a night. And even in those skinny hours when he’s out cold, he’s still on. “Kevin sits up in the middle of the night and talks about shirts and shoes in his sleep all the time,” D.J. says. Sagamore existed in Plank’s mind long before he bought it. A decade ago, when he and D.J. were newlyweds in Baltimore, they used to take weekend drives to the country. “We’d go by Sagamore, which was really run-down, and Kevin would say, ‘Someday I’ll own that, ‘ ” D.J. says. Sagamore Farm was founded in 1925 by Isaac Emerson, founder of Bromo-Seltzer. In 1933, Margaret Emerson Vanderbilt, daughter of Isaac Emerson, gave the property to her son Alfred G. Vanderbilt II on his 21st birthday. Vanderbilt raised and trained Native Dancer, one of the most celebrated racehorses in history, who won 21 of 22 career races (including the Preakness and the Belmont in 1953) and graced the cover of Time magazine. The Vanderbilts sold the farm in 1986 to a developer, and it quickly went downhill. Paint peeled from the barns, fields became overgrown, and no champion Thoroughbreds ran the track, which had become overrun with weeds and pebbles. Plank bought the property in 2007 for an undisclosed price. By that time, he’d had it with talk of horse racing’s decline in Maryland, home to the horse Man o’ War and the Maryland Jockey Club, founded in 1743. He wanted to stanch the bleeding. Plank set about redoing everything, starting with the 17 miles of white fence around the property. He restored the white barns, which are topped with red roofs, adding skylights and old-school gooseneck lamps by the stalls. In the manor home, which commands a view of the entire property from atop a hill, Plank blew out the main living room, replacing the pocket windows with ones that run nearly floor to ceiling. He added a stand in front of the house from which three tall flagpoles sprout, flying the American and Maryland flags and one with the Sagamore logo (which is replaced by a black flag with a giant white “ W,” which he raises when one of his horses wins a race). “The neighbors aren’t too fond of the flagpoles,” Plank says. Plank hired his old friend Mullikin to run Sagamore. Mullikin, a former IT specialist at Gannett, had been working at a horse farm in Kentucky. He now lives at Sagamore with his wife and five kids. Plank made it a point to avoid hiring any old Maryland hands. “They were just too negative about the whole thing,” he says. “I wanted people who were positive.” For his farm silks, Plank chose a deep garnet with three cerise diamonds, because Under Armour had just signed the University of South Carolina, which outfits its sports teams in those colors. Plank loves to show visitors the farm—everyone from Jay-Z to Alex Rodriguez to prospective employees who know Baltimore only via The Wire–tooling around the well-manicured acreage in a retrofitted, all-terrain cart that seats eight. He first stops at the track, refurbished with synthetic material. He picks up a bright blue scrap from the dirt that looks like a piece of plastic. “These are old Under Armour shirts,” he says. In the horse barn, Plank walks an open hallway. Swallows flit about as he points to the different horses in their stalls. He walks by Charged Cotton, a filly named for Under Armour’s latest big product to hit the market. Listen Boy is a horse named for a cheeky Irishman who once, quite paternalistically, tried to tell Plank how things worked in the horse-racing business. “And this is Tiger Walk,” Plank says, pointing to a handsome and muscular 3-year-old colt the color of cinnamon. The horse was named after the walk that football players at Auburn University—an Under Armour school, of course—make before each game. “Look at that athlete,” he muses. Just then, the horse rushes at him, restrained only by a rope. Plank smiles proudly. The tour continues, past Native Dancer’s grave and over and through a winding spring creek, which maintains a constant temperature of 56 degrees all year long. Plank plans to someday make a Sagamore whiskey from its water. But Plank is clear that his main goal for the farm is to win horse races. “A lot of guys make a killing in business, then spend a fortune getting into horses, then lose money and heart after just a few years,” Mullikin says. “Kevin’s approach is different.” For one, he’s on a more patient track. “I know this could take 20 years,” Plank says. And while he bankrolls the farm and provides a healthy budget, he still views Sagamore the way he does Under Armour: as an underdog that has to make wiser, more strategic decisions . Other, bigger farms can spend seven figures on horses, the way that Nike signs prodigies to huge endorsement contracts. Sagamore is more middle-market, spending six figures on a horse, carefully selecting only a few. Plank has had some successes in the past few years. In 2010, Shared Account, a filly, unexpectedly won the Breeders’ Cup Filly ;& Mare Turf race, at 46-to-1 odds. “I can’t tell you what we made on our bets because I don’t want the IRS after us,” grins Plank. (Shared Account is now in foal with Bernardini, the grandson of Seattle Slew and the winner of the 2006 Preakness.) Last year, Monzon raced the Belmont, becoming Plank’s first Triple Crown entry. (The horse finished ninth out of 12 starters.) In this year’s Preakness, Tiger Walk finished eighth. But progress remains slow. In 237 total starts since 2007, Sagamore has 48 wins and just more than $3 million in prize money. This year, Plank’s horses have eight wins in 54 starts, with prize money of $456,588, which places Sagamore outside of the top 100 farms in earnings. Ever the optimist, he’s already focused on 2013. Sagamore currently has 57 horses, 15 of which are 2-year-olds, by far Plank’s biggest crop of Triple Crown-eligible horses. “As the saying goes, no one ever committed suicide with a 2-year-old in the barn,” Mullikin says.